Dr. D. Russell Humphreys is the author of the book “Starlight and Time” which solves the puzzle of distant starlight in a young universe. 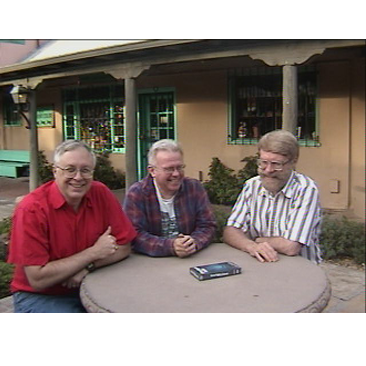 Doug and Rich conducts an interview with Dr. Humphreys at Old Town Albuquerque in New Mexico. Dr. Humphreys shows detailed evidence for a young earth and universe from a variety of sources. Recorded in 2001. This hour-long interview, recorded in Albuquerque, New Mexico, was recorded for the Revolution Against Evolution TV show. DS: Welcome to the Revolution against Evolution, I’m your host Doug Sharp and we have Rich Geer with us and we have our guest with us Dr. D. Russ Humphreys from New Mexico and we’re in old town [Albuquerque,] New Mexico interviewing him today. And we’re glad to have you with us on our show, we’ve wanted to do an interview with you for a long time and we’re thankful that you have been able to do this and arrange this at this time with us. One of the things we wanted to talk about was your involvement with the RATE group that is part of the Institute for Creation Research. Can you tell us a little bit about your involvement with what that group of people is doing? RG: Yes. What does RATE stand for? RG: Thank you for that. DS: Old town Santa Fe too, right? RH: Yes, almost all the southwest towns have an old town part in them. 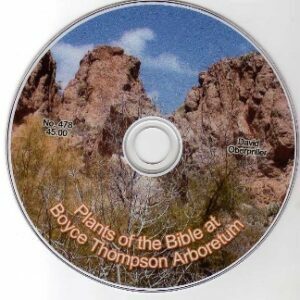 Radio Isotopes and The age of the Earth, its a book and a project. The book is a summary of a five-year research program that seven scientists and others too, are involved in. And the scientists are myself, Dr. Larry Vardiman who’s the chairman of the group whom you interviewed a few weeks ago I understand, Dr. Gene Chaffin, editor of the Creation Research Society Quarterly and also a nuclear physicist, then there’s Dr. John Baumgardner who’s at Los Alamos National Laboratory just about an hour and a half drive north of here, and then we’ve got Dr. Andrew Snelling who’s a geologist from Australia that works for ICR, then Dr. Steve Austin who works for ICR, and Dr. Don DeYoung who’s an astronomer and a physicist. So we have several physicists, several geologists, a geophysicist, and others working on the committee. And the committee is tackling one of the toughest problems in creation science which is radioactive isotope dating. We’ve hit around the edges in creation science before this but we haven’t tackled the problem head on. RG: You like to do that, don’t you? You take the tough issues. We’ll talk about something else a little later on, your cosmology. You take the hard ones that seem to be the most difficult things for a straightforward reading from a creation standpoint. DS: Since you’re about to plug his video here, he’s got a new video called “Starlight and Time” solving the problem of distant starlight and the speed of light. This is a good introduction to the whole problem and how we can actually explain this from a creation point of view so we’ll talk about that a little bit as well when we can get into it. RG: Back to RATE now, so the idea of radiometric dating, what are some of the things that we’ve done in the past maybe as creationists that you think are not very well done or that you’ve got better solutions to? RH: Well the main thing that I and others on the committee felt was that we didn’t tackle the problem head on, a lot of us and most creationists for a long time were tackling the problem by looking at small flaws in the way radiometric dating is done, assuming for example, maybe if the system weren’t closed, as the assumption usually is, we could get other isotopes in there. RH: Yes, [that might] bring us up to date; what I’ve always felt is we weren’t reckoning with the major part of the problem. That is, there’s a very large amount of evidence, all kinds of different evidence in the earth and on the earth today, that a very large amount of radioactive decay has occurred. Yet we have other geoscience evidence that indicates that the earth hasn’t been here that long. So if you have a whole lot of nuclear decay occurring how can you have all that happening in a short time? RG: So there are many things you’ve talked about before. Maybe you might want to list these; maybe you don’t want to get into all these that indicate a young age for the earth, as well as the universe, and then explain how we can tackle these things head on. So what are some of the things that indicate we have a young earth? RH: OK, one of them is the accumulation of mud on the ocean floor. Its accumulating much too rapidly and the present slow plate tectonics subduction doesn’t carry it out nearly as fast as it should, and another, in the ocean, is the accumulation of sodium in the ocean, that accumulates too fast for the oceans to be 3 billion years old. So if the ocean really were billions of years old it would be as salty as this salt lake, the Great Salt Lake, or the Dead Sea with lots of salt on the bottom and it would be choked with dozens of kilometers of mud. DS: Well, I remember reading about the Salton Sea in the Imperial Valley forming in just a couple of years and the salt in that is saltier than the ocean, isn’t it? RH: Yes, He was helping me; inadvertently helping me. He was saying, “Suppose you didn’t start off with some salt in it, suppose you started off with zero.” And I said, “Yes; that’s what I did to get the number.” So he hadn’t followed my argument very well. RG: It was quite wonderful. RH: There are a number of other different lines of evidence pointing to a very young world, in fact, there are probably hundreds of processes that one could point too. Some of the others are: how long people have been around. If people have been around [millions of years] more than a million people on the earth for very long, as evolutionists like to say for the length of the Stone Age, you’d have billions of bodies in the earth and you don’t, you don’t have that many Stone Age bodies in the earth. What’s another one? The age of comets, comets wear themselves out too quickly in the solar system, and the theory to explain that doesn’t do a very good job. There are lots of [geological] formations that point to very rapid formation, such as polystrate fossils, trees that go through several fossil strata at once. Or the evidence in the fossil strata themselves that they have been laid down very rapidly. RG: We’ve talked about how sedimentation we’ve actually seen with Mt. St. Helens, how things like that can happen very quickly, and long ages are not needed. So there are many evidences for a young earth. Still there’s that bugaboo of radioactive dating that seems to indicate long ages and your group has decided to attack this head on. RH: We’ve found a lot of evidence that during the Genesis flood, and probably during creation week as well, the rates of radioactive decay were billions of times higher than they now are. One of the pieces of evidence for this is right here in New Mexico. There’s a volcanic caldera in the Jemez mountains near Los Alamos, and deep hot rock has been taken out of boreholes there and sent to Oak Ridge [National Laboratory] and examined and there are tiny radioactive crystals in this rock. DS: Is that near Bandelier? RH: Yes, its near Bandelier and you might get to see some of that. These crystals are called zircons; they’re microscopic, where most of the radioactivity is in granite-like rock. And when radioactive decay of uranium takes place you produce Helium. The alpha particles you’ve heard about? Alpha radiation? Those are Helium nuclei and quickly those Helium nuclei become Helium atoms and Helium atoms are very slippery little things and they can wiggle through the tiniest crystal lattice and escape. And the hotter the lattice the faster they escape. Remember this is from hot rock; its from 100-300 degrees C., so it’s very hot rock. So Helium should diffuse out of these tiny little crystals very quickly within thousands of years. And yet the crystals are supposed to be billions of years old on the evolutionary scheme. 1.5 billion years according to Uranium-Lead dating of those crystals. DS: So have you measured this diffusion rate of Helium? RH: Well, we’re in the process of doing that, but what put us on to that was Robert Gentry, [formerly] at Oak Ridge, found that huge amounts of Helium were still in the rock, up to 58 % of the Helium that would have been emitted in 1.5 billion years was still there in these tiny zircons. RG: Well that sounds like a smoking gun. RH: Right, what it’s saying to us is that over a billion years worth of radioactive decay took place from the amount of Helium that is there, yet because of the fast rate of Helium diffusion out of these zircons, we can say that it took place less than thousands of years ago, within thousands of years ago. DS: so there’s too much Helium in the rocks but not enough in the atmosphere. RH: That’s the other half of the thing, up in the earth’s atmosphere, and Dr. Larry Vardiman is talking about this, there’s less than 1-2000th the amount of Helium that should be there if we had had 5 billion years worth of nuclear decay. RG: So Helium would stay in the atmosphere as opposed to being diffused out in the cosmic space or something like that? RH: Right, and it’s a good thing because all the other gases would have diffused out with it too, because Helium mixes with all the other gases. People have this idea that Helium would float up to the top of the atmosphere and be concentrated there. No. it would be mixed just like every other gas, carbon dioxide, oxygen, and nitrogen; so the fact we haven’t lost much of those gasses should be a clue to people that we haven’t lost much of the Helium. DS: So, if the radioactive decay rates took place for a long time, we should all be talking like this …[high voice]? RH: So Larry Vardiman, … it’s easy to calculate what the leakage rate of Helium should be out of the atmosphere and into space, and that’s small compared to the amount of Helium that should be leaving the surface of the earth and entering the atmosphere. RG: So you’ve published that in this book? RG: Has there been any reaction from the secular scientists? RH: Not a lot. I think they’re still digesting the book. The book is pretty technical, its nearly 700 pages of very technical stuff in the geosciences, in the nuclear sciences, so, no; there hasn’t been a lot of reaction, so to me it seems like a lot of digestion’s been going on. Its only been a few months. So I imagine after a while it will be more. RG: So are you now in the process of building on top of this research? RH: Yes, we’re trying to go forward with this. It’s a 5-year research program. Just to give one example, nobody has ever measured the diffusion rates in several of the minerals that we need to know the diffusion rate of Helium in. So were doing this experimentally, and just to get this experimental result, and we have a prediction that’s made by the creationist model and we have a prediction by the evolutionist model. 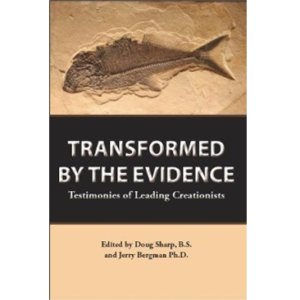 Some of the results are already coming in and they’re much, much closer to the creation model than the evolutionist. DS: You seem to have a history of doing this. RH: Yes, I’ve gone out on a limb now about a half-dozen times and so far the limb hasn’t been sawn off under me. RG: Why don’t you talk about some of those things, maybe we can sort of bridge into your cosmology. DS: Your idea of magnetic fields was one. RG: Talk a little bit about that. That is very fascinating to me. You first wrote something about this back in 1983? RH: Yes. Back in 1983 I published a paper in the Creation Research Society Quarterly I think it was the December issue of that year, “The Creation of the Earth’s Magnetic Field.” My jumping off point was a verse in 2 Pet. 3, where it says that the earth was formed out of water and by means of water. And that said to me that since the earth is not water now, God must have transformed the water into all the other stuff we see around us: iron, silicon, but I thought of a way that He could make the earth’s magnetic field while it was still water. If He had lined up all the protons you know the two hydrogen atoms, the two nuclei that are protons; if He created the water with the two protons all pointing in the same direction and all the water molecules, all its protons, all pointing in the same direction, then you would get a magnetic field which is just about the right amount you needed if the earth is 6,000 years old, and some decay has taken place. So that struck me as kind of interesting. If you’re God and you’re going to make a magnetic field, here’s a real easy way to do it. When you create the water molecules, create the protons all pointing in the same direction. RG: Real easy for God, not for us to do. RH: Yes, sort of thinking God’s thoughts after Him. DS: Then there’s the decay of the magnetic field that could get out of alignment, so you actually have that as a measurable rate. RH: Right, the earth’s magnetic field is decaying at a certain rate right now, it would take about 1400 years to decay down to half its present strength, and we know from archaeomagnetic data that it has been decaying at that rate for about 1000 years. RG: Wow, I didn’t know that. RH: Historically it has been measured for the past 150 years, actually 170 years. Its followed that nice decay path, K curve, right on down. But before that it did complicated things, and we think the complicated things are the result of reversals of the earth’s magnetic field that happened during the Genesis flood. There’s a lot of roiling and boiling in the earth’s core, and I thought during the 1980s that this would produce the magnetic reversals rapidly within a matter of weeks. In other words, one week, during the Genesis flood, the magnetic field was pointing north and the next week the magnetic field was pointing south. RG: Because of that turmoil? RH: Because of that turmoil that was going on in the core, so that would be a result of the flood. Because of the flood events; it actually has a very nice tie in with John Baugardner’s Catastrophic Plate Tectonics [presented at the ICC]. The catastrophic plate tectonics would produce the rapid roiling and broiling in the core; if you get the roiling and boiling you get the rapid reversals. DS: So what was the position; the “going out on the limb” prediction that you made in this paper? RH: Getting back to the origins of the field, I thought if the earth’s field had this neat explanation, it fit the data pretty nicely. Well, maybe God made the fields of all the other planets and parts of our solar system the same way. So I just said, well, I’ll apply the same theory to the Sun, Moon, Mars, Venus, Jupiter, Saturn, Uranus, and Neptune. And what would the fields be there? At that time space probes had measured some of those fields but not all of them, so for the ones the space probes had measured it fit the theory very nicely. So when I published that in December, 1984, for the Creation Research Society Quarterly, for the two planets that had not been measured, Uranus and Neptune, I made a prediction that if the theory’s any good then the strength of the [magnetic] field for those two planets should be such and such. My prediction for the planet Uranus was about 100,000 times larger than what evolutionary predictions were. This is a good test. Lets see where the chips fall. Then Voyager 2, I think it was, went by the planet Uranus in 1986 and it was right smack in the middle of the range of my predictions. RH: I broadened the range a little bit because we didn’t know too much about the core of that planet. So then it went by Neptune during 1989 and again right in the middle of the range for that planet. RG: How have the evolutionary scientists, the NASA scientists, that went for the other predictions, how have they been able to modify their opinions to fit that data? RH: Well, they modified their opinions a little bit, when Uranus came out so badly wrong, they said that Neptune is sort of a sister planet to Uranus, so we’ll modify our prediction for Neptune so its going to be also a strong field. RG: That doesn’t help for the Uranus prediction in the first place. RH: No it didn’t. It was sort of a hand waving theory they had in the first place so it wasn’t very quantitative. DS: Now does this also hold true for the moons of Jupiter? RH: Yes, the moons of Jupiter came out very nicely, I didn’t even think of including them in the paper but just apply the same formulas that are in the paper and they fit the moons of Jupiter that were measured much more recently, by another space probe, Galileo. It fits those moons pretty nicely too. So, I’m happy about that. RG: You’re batting a 1,000 here it looks like. RH: That one I didn’t actually make a prediction, but there’s no difference from [what] the prediction [would have been from the model]. DS: I have a question about your Starlight and Time cosmology from Dr. Keith Wanser. He asked the question that if you start from a ball of water, he’s wondering how this ball of water does not collapse upon itself down to a small, condensed black hole? RH: It would fall and collapse upon itself like a black hole, that’s what my book talks about. I don’t know why he’s asking about it. Are you sure that’s what the question was? My book says, if God created all the matter of the universe as a ball of water, all the matter, we see would make a ball about one or two light years in diameter. That ball would immediately start collapsing. It would make a black hole and my theory then suggests that it bounced and became a white hole, expanded out, the event horizon shrank then, and as it shrunk to the central part, God had already made a planet there. The one we’re on and time would be dilated when the event horizon reached the earth’s area. I’m not sure if he’s read that part of my book that talks about that. There are three different parts that talk about that. DS: Maybe your theory sometimes just goes over the head of most of the readers. RH: That book has a lot of information in it and I don’t think most people are used to going through a book very carefully and seeing what all the information is there. Unfortunately the average book that’s about that size, which is paperback, has one idea per chapter. I try to pack about one idea per sentence into it, so there’s a lot in it and I don’t blame anyone for not digesting it. DS: And your wife puts up with all this abstraction? RH: Very easily, she just doesn’t pay too much attention. She enjoys this too. RG: I don’t know if we have time, but maybe in a nutshell, or a synopsis for our audience, it’d be nice to get it straight from the horses mouth. How this seems to take again another thorny problem creationists have; how stars are seemingly billions of light-years out there and this theory’s able to incorporate that within a very young, few thousand year old universe, so why don’t you explain to our audience how that works. RH: Well, the main problem in understanding my theory, is understanding the big bang theory, to understand how my theory contrasts with it. The big bang theory, as understood by experts, is quite different from the big bang theory as understood by everybody else, including most scientists and even many astronomers. We all have sort of believed, I remember having this impression when I started this study, we believed that the big bang was sort of an island universe, you have a whole bunch of galaxies but they were an island in an otherwise big empty sea of space. We thought that back in the beginning all these galaxies were a little tiny ball of very hot matter and that matter expanded out into a big empty space. RG: That’s the way you hear it. RH: That’s the way its taught, but that’s not what the experts mean when they talk about the big bang. The difference is whether or not there’s a center and an edge. Our picture of an island universe has a center of that cluster of galaxies or a center of that little ball and then there’s an edge to that matter and outside of it is just empty 3 dimensional space. But the big bang universe assumes to start with that all the space there ever was, was completely filled by the hot matter of the big bang and then space and matter expanded outward together; and this is very difficult to visualize which is why this tape is very good, it will help you visualize it, but you have to have an extra dimension to visualize it. The experts don’t’ like to acknowledge the extra dimension of space, not time, the extra dimension of space, they don’t like to acknowledge that as being real, so they don’t talk about this at all. So they’ve let the second tier of scientists and everyone below that, the popularizers, go on in their misunderstanding about the big bang, but if you actually study the experts, you’ll find that they say that the big bang has no edge to matter; no center. DS: Actually the popular understanding of it more parallels with what your theory is. RH: Yes, that’s the real irony. For those of you who are out there confused, this wrong picture you had of the big bang, just peel off the label “big bang” from it and put “Humphrey’s crazy cosmology” on it and you’ll be a lot closer to what I’m teaching and you won’t have that misconception about the big bang. DS: And the difference is that the earth, being a special place in the center of God’s creation, isn’t that what [the theory is]? RH: That’s right, the cosmos that Scripture pictures is an island universe, there’s ordinary matter of the universe and there’s some empty space beyond that and that matter you can draw a boundary around it and it has a center. And Scripture talks about that and I talk about that in Appendix B of “Starlight and Time,” the biblical basis for it. DS: But that really isn’t geocentricism? RH: Not quite; classical geocentricism says two things: they said and there are still some who say this, that the earth is at the exact center, like right here, and that the earth has not ever moved away from the center. Now, I don’t find Scripture being that exact about our location. On a cosmological scale of distances, I feel confident that scripture says we’re near it, within a million light-years of the center. I don’t see anywhere where it says that we’ve remained motionless with respect to the center. So even if we were at the center in the beginning, we’ve moved a ways from it. DS: All motion is relative anyway, so we moved away from what? That’s the question. RH: Well, the earth from the center those are two locations you could talk about, about the earth with respect to the center. RG: Well you’re saying the earth from the center; there was a real center or there is a real center. RH: There was a real center. I don’t know exactly where it is. RG: So what happens now? With this starlight and time theory you’ve got sort of a big bang sort of thing but matter was originally made out of water, is this correct? RH: Yes, converted to other stuff. Then in the book it was by fusion this collapsing ball of hot water would get very hot and that’s when I think that there was light. DS: When it comes right down to it, don’t astronomers have that in their theory anyway? They originate all the atoms of the universe, the heavy metals and everything, from hydrogen actually, they start with hydrogen and water. RH: Yes. The process is called nucleosynthesis. Now here’s a difference between the big bang theory (that version) and my theory, the collapsing ball of matter-expansion. Their theory has a problem making any heavier element than Helium or Beryllium; only the very lightest elements can be made by the big bang. The other heavy elements, uranium, iron, lead, all of them, has to be made at the heart of a supernova. One of the problems is that the Hubbell telescope is now seeing these heavy elements, among which they would include carbon, and oxygen for example, as heavy elements, they’re seeing them too far back and too far out to give much time for the supernovas to make all that. So the big bang theory is being stretched a little bit there and they’re not talking about it. But this is much more like cosmic supernovae than it is like a big bang and it would generate all the heavy elements right away so maybe that’s the way God chose to make the elements. This would all be on Day One when light appeared, then an expansion on Day Two, “let there be an expanse,” something expanded, next to the earth and so on, all in the ordinary days, which brings us to the time aspect of it. Why does the center effect time so much? Well if you have matter having a center, then there’s a center of gravity, so gravitational forces can point toward the center. In the big bang you have no center so you have no center of gravity so you have no overall pattern of gravitational force to reckon with. In the big bang there’s as many galaxies that way as this way, if you’re out between the galaxies, and so the net force is zero, [it] cancels out. But in this if you’re not at the center then you’ll feel a very small force pulling you toward the center; it would take you billions of years to get there, but a very small force over such cosmic distances, that small force has a big effect on time. It’s an effect in Einstein’s general theory of relativity, that’s the one that hardly anybody knows about. RH: That’s from the special theory of relativity but there’s a broader theory that deals with gravity and acceleration and other things that hardly anyone knows about. But in the general theory of relativity there’s an effect called gravitational time dilation or time stretching. One of the bottom lines there is that the deeper you are in a gravitational field, the lower you are in altitude, the slower clocks tick, clocks and all physical process would run slower, time would run slower. The deeper you are in a gravitational well or the lower you are in altitude; lower and slower. RG: Is this on a cosmological scale or is this measurable from earth? RH: Its measured here on earth and in my book and in this tape we talk about where its been measured. So its not science fiction, and its not just nice theory from Dr. Einstein. Its actually been measured here on earth many different ways and quite accurately, but itsstill not a large effect here on earth but over cosmic distances there could be a very large effect. RG: Gravitational time dilation … and the implications are, since we’re closer to the center of this creation, the clocks would be running slower here? RH: We would be at about the last place where clocks would start ticking fast. I’m proposing that during the fourth day of creation the earth entered this critical phase of things where its clocks and its processes were running very slowly and everywhere else clocks and processes would be running at their normal rate. But on earth everything time-locked, froze, nothing [was] happening here, during the fourth day of creation. So that gives a way for billions of years worth of history to happen out in the distant cosmos, yet as measured by clocks here on the earth, the universe would be very young, so it gives you a way for the light to get to the earth, that’s the theory in a nutshell. RG: So in other words, if someone was living out at the outer edge of this universe, they’d be dead in nanoseconds compared to how long we live; is that what you’re saying? RH: Yes, if you could have seen on the fourth day, if you could have seen what was happening out there, you would have seen billions of years worth of events happening out there. If you could have seen it, the light wouldn’t have been here, but if you could have seen it, you would have seen the galaxies spinning around like pinwheels and bumping into each other and the light zooming in toward earth. RG: Its like a fast speed out there, we’re in slow motion down here. RH: We’re in fast-forward out there. RH: But I don’t think things are like that today. This was on the fourth day you would have seen that and then as the expansion of the universe proceeded, the vicinity of the earth would move out of this critical phase of things. RG: Why was it on the fourth day? I know the Scripture says that on the fourth day certain things happened, but how does that work, or do you have a theory, or is it in the book, about how that would have worked and how it would have got out of being slow and the other ones fast? RH: Yes, it wouldn’t happen at the outset of the expansion and it would be over with at another phase of the expansion so it had to move through that period. So I think that God just designed it so that when He was ready to make the stars, the earth was in this phase, because He wanted us to be able to see. RG: So in a nutshell this is why we have stars that seemingly are billions of years old as they would have to be for us to see the light, they’re measurable to some extent as being way out there, yet still this works with a very young universe based on your theory then? RH: Yes, because with relativity, relativity is not theory, its measured fact and relativity compels us to consider the possibility that clocks haven’t all ticked at the same rate in all parts of the universe. RG: People have played with that for a while, decay of the speed of light type theories have come up, and other kinds of things, but this seems to be the most interesting and least problematic at this juncture, it makes some sense. RH: So Rich, when somebody asks you, “how old the universe is,” what should be your answer? RH: You both did good. You hear that out there? If somebody asks you how old the universe is, you should say, “which clocks?” Whose clocks? RG: Now even the Hubbell telescope when it was out there the last ten years, when it was out there doing examination, it was causing a lot of these scientists to have conniptions it seems to me, when I was reading several years ago they were proposing the universe was 30 billion years old. RG: I saw one that was 28 billion, most were 20, 22 billion. That Hubbell [telescope] gets out there and they have to kind of backpedal a little bit. RH: They keep finding out new things about the universe from the Hubbell. So cosmology, where it was mostly theory before, and cosmologists were quite comfortable, now the Hubbell and other kinds of measurements out there with satellites are slowly constraining cosmology and nailing it down with experimental facts, observed facts. Problems for the big bang. But its making it more of a science and less of a theory, its a good thing. But it is stretching the Big Bang theory and it may snap and we may have to find another theory to replace the big bang. DS: I have another question for you and this concerns fellow creationist Barry Setterfield and his ideas and he’s going along with his speed of light decay concept and what do you think about that? RH: I do talk about it in my book. I want to give Barry credit for his biggest achievement he made, which was to get all of us creationists thinking about cosmology, because cosmology was a forbidden subject back before Barry tackled it in the 1980s. Nobody would think about it and those who were in the sciences avoided cosmology. I hadn’t thought about it, so Barry certainly focused my attention on it. Barry has a particular theory for the speed of light decay that I don’t think matches the facts. He has all of the speed of light changing very rapidly and even down in the past few decades still changing measurably. Here on earth you could have measured the speed of light change. I’m not sure you could measure it, but the speed of light is so tied into the forces, that every physical force is related to it. I might be wrong about that. But the main problem is the actual data he used to support his theory of decay does not seem to support it when you analyze it carefully. But there may be other theories of the speed of light that may work, there’s one by David Harris, for example, do you know him? RG: David Harris, yes the Canadian, we know him pretty well. RH: Back in 1978 in the Creation Research Society Quarterly he proposed a different kind of speed of light thing, before Barry came on the scene. Nobody paid much attention to it. But David proposed that at the Fall of Adam, that there was a bubble so to speak of the wave of the speed of light slowing down, that spread out form earth into the rest of the universe. David had it spreading out at today’s slow speed of light and I ran into a few problems analyzing that, so I wasn’t very enthusiastic about it. But just about 6 months ago I realized that if the bubble expanded at the former speed of light, very rapidly, then those problems that I saw would go away, so I contacted David about it and asked him if he had thought anymore about it and he said no, he didn’t feel he was really qualified to pursue that. I think he has a BS in physics, and he’s working mostly at computers now. But he said, “have at it.” And I say, “have at it too,” to anyone who is listening that’s interested in that, but I just give that as an example of a [change of the] speed of light theory that I think might be viable.